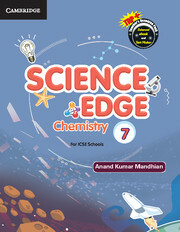 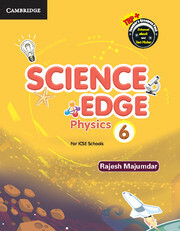 Science Edge 1–8 is a well-graded series and provides full coverage of ICSE curriculum. Science Edge 1–8 is a well-graded series and is prepared in strict conformity with the latest syllabus prescribed by the Inter-State Board for Anglo-Indian Education. The aim of the series is to make the understanding of science an enjoyable and enlightening experience for the young learners. It facilitates development of a variety of scientific skills, such as observation, investigation, analysis, planning, experimentation and asking questions. The series, ensures a complete holistic learning for the young learners as they undertake a fun-filled journey through the world of science. 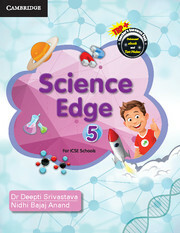 Each book contains a teacher’s book which includes lesson plans and worksheets.